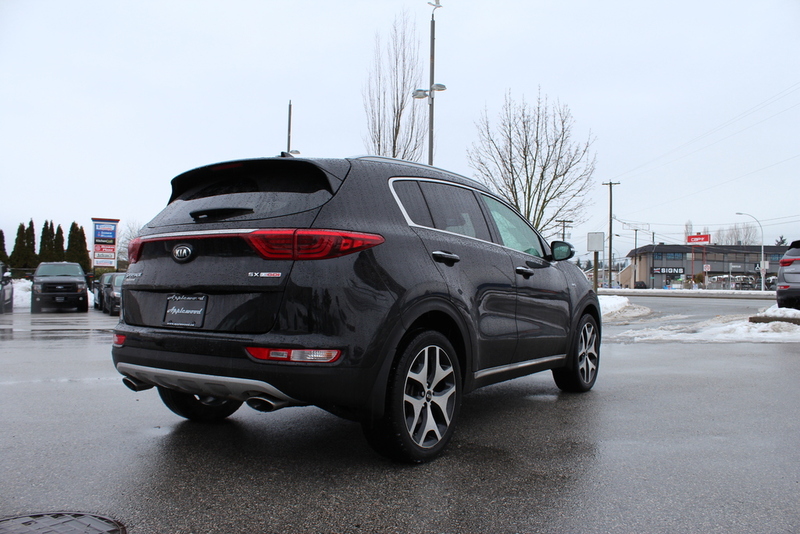 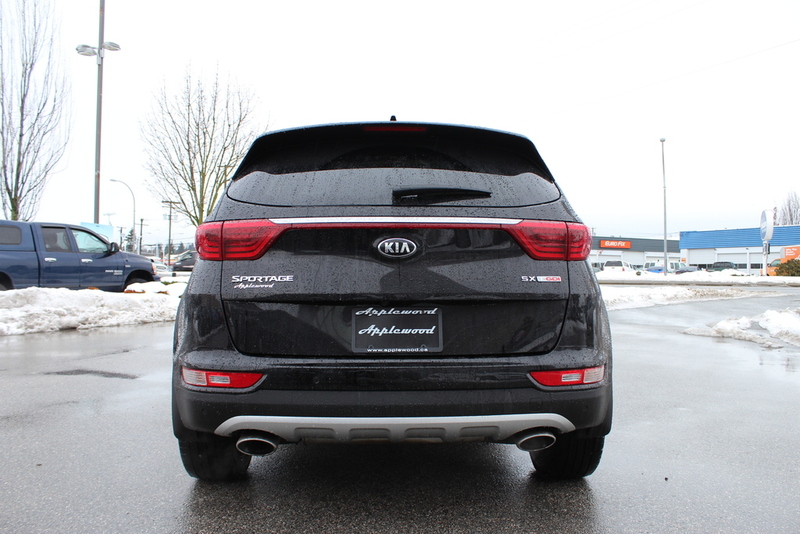 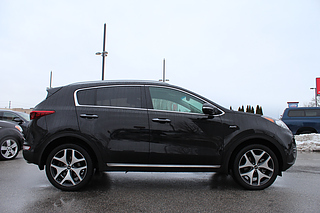 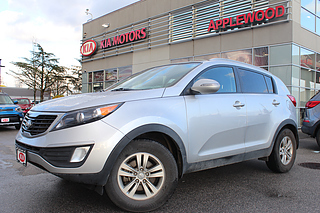 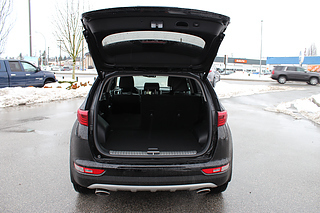 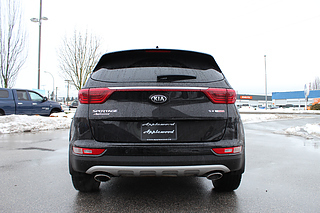 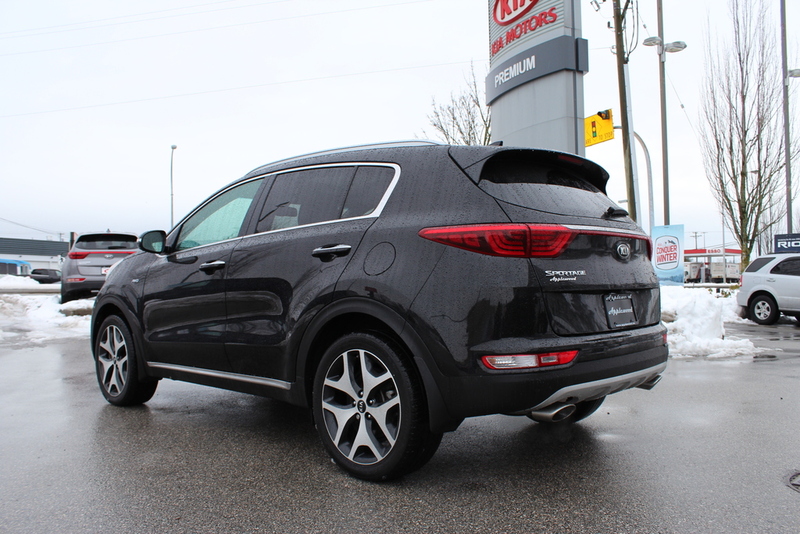 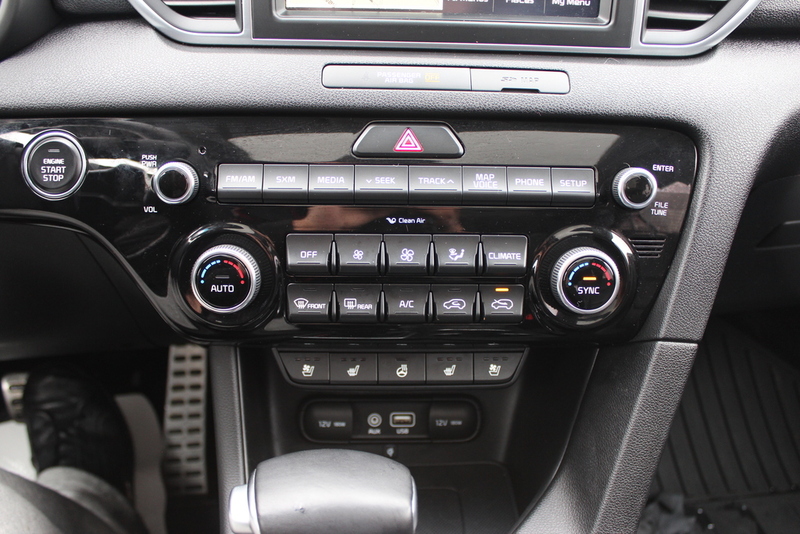 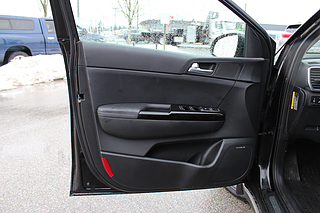 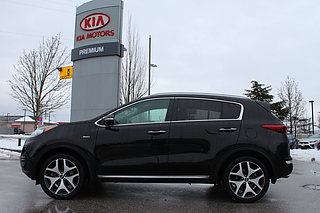 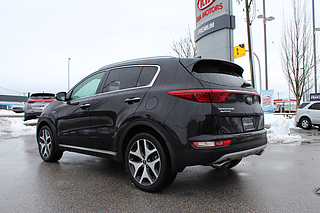 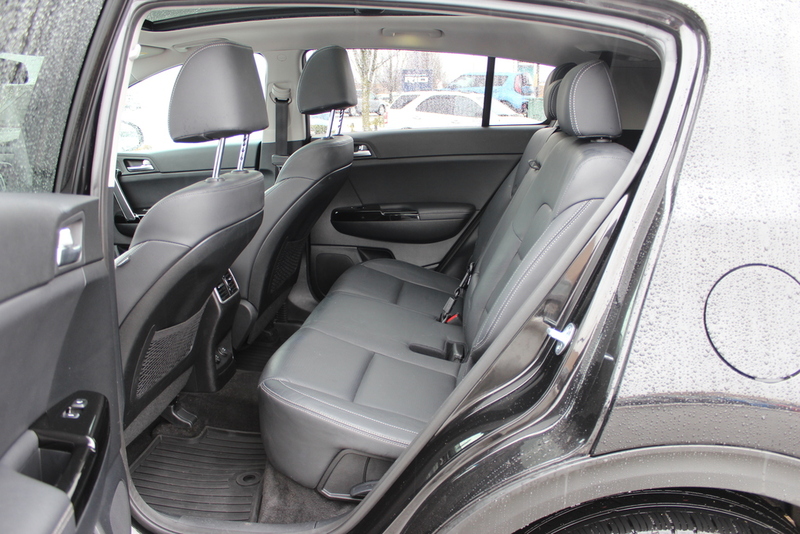 This 2018 Kia Sportage was purchased brand new from us in Langley has remained BC driven and registered since new. 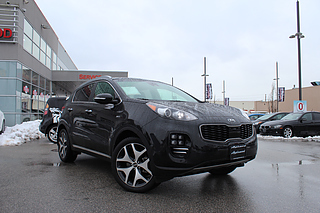 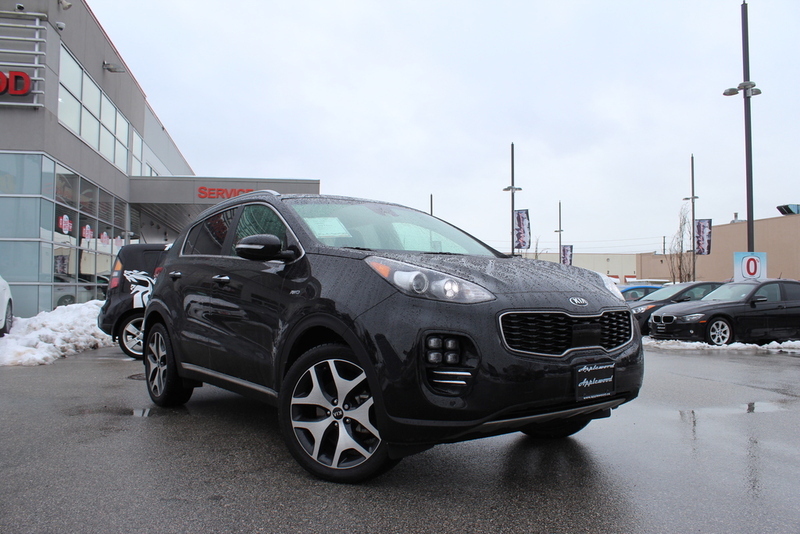 Brand new MSRP was over $39,000 - save thousands on this slightly pre-owned Sportage over purchasing brand new! 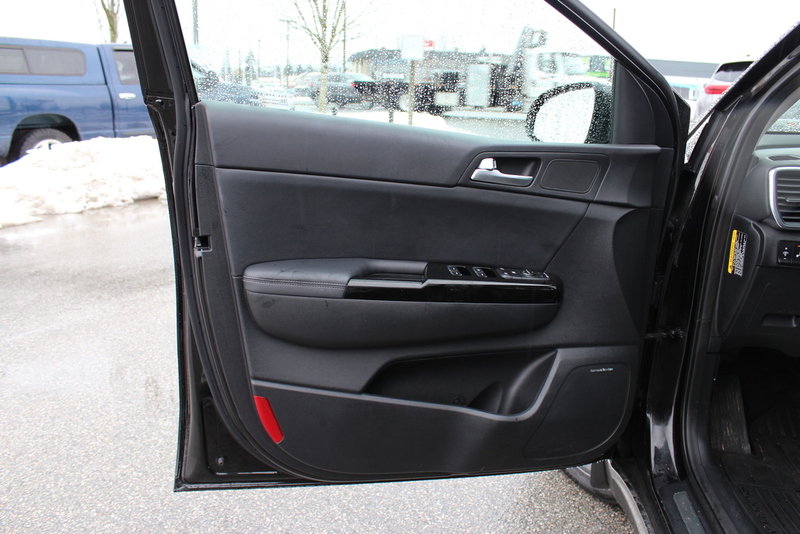 It has never been in an accident, was never smoked in, and was kept in fantastic condition inside and out! This Sportage comes coated in the stylish and sophisticated Black Cherry exterior paint which is paired perfectly with a Black leather interior. 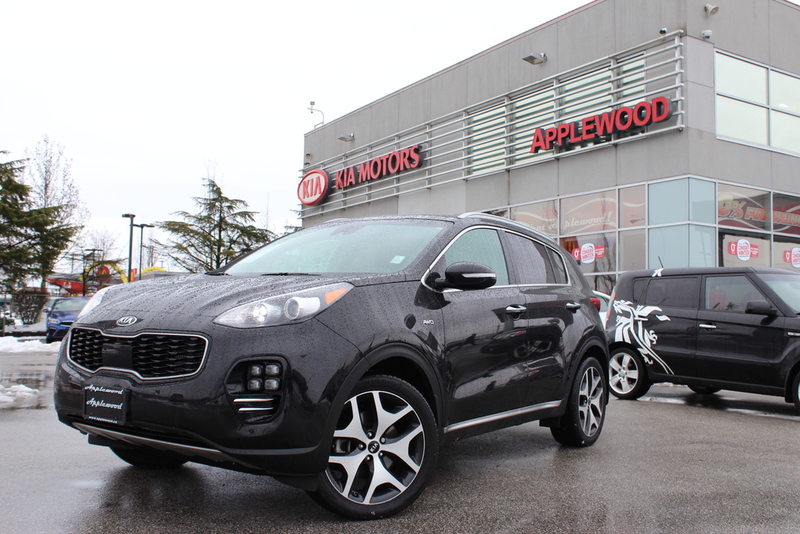 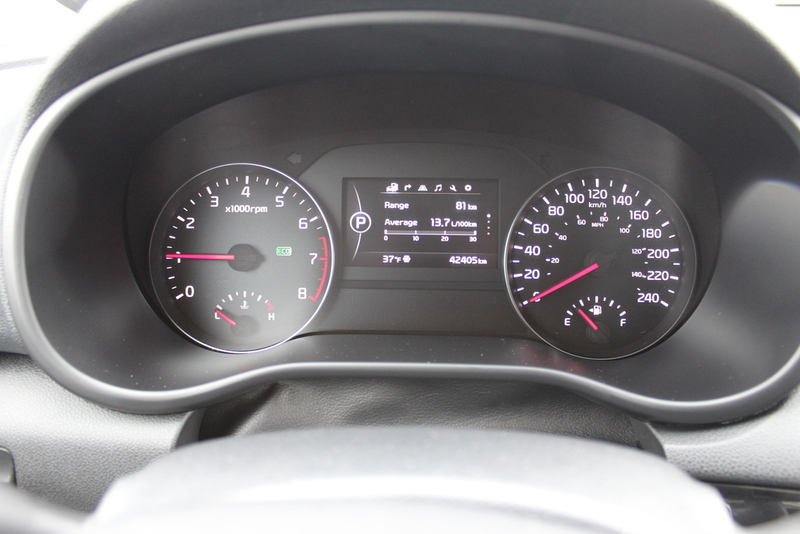 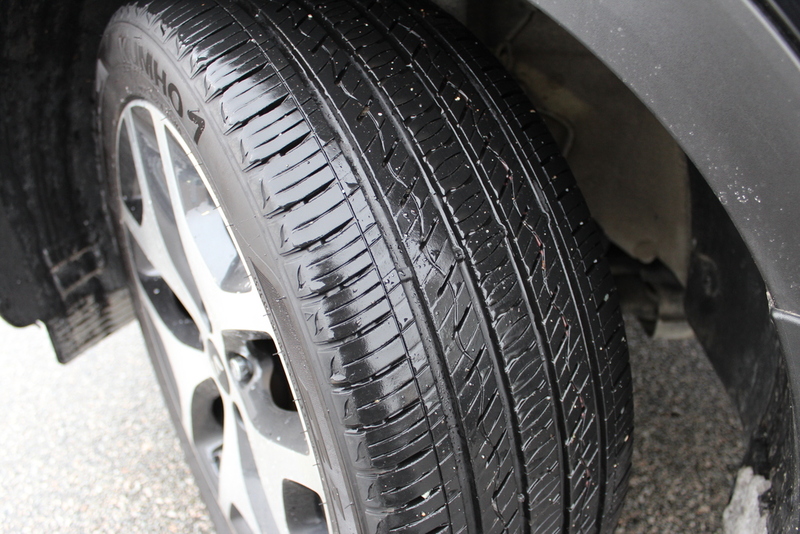 It was recently traded in with us during an upgrade sale for a new Sportage. 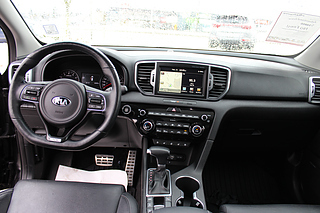 This SX Turbo AWD model comes well equipped with many great options including heated front seats, dual zone automatic climate control, heated steering wheel, Navigation, AM/FM/XM audio system w/7-inch LCD display, rearview camera, Bluetooth, cruise control, smart key w/push-button start, and more! 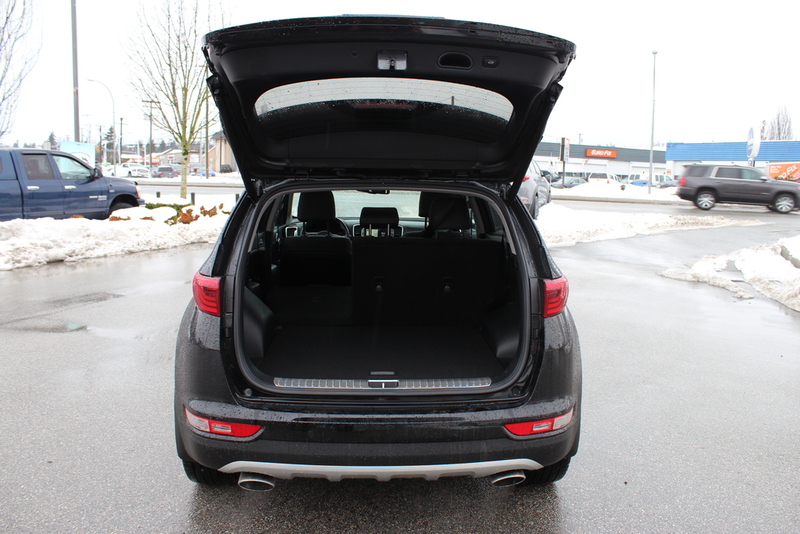 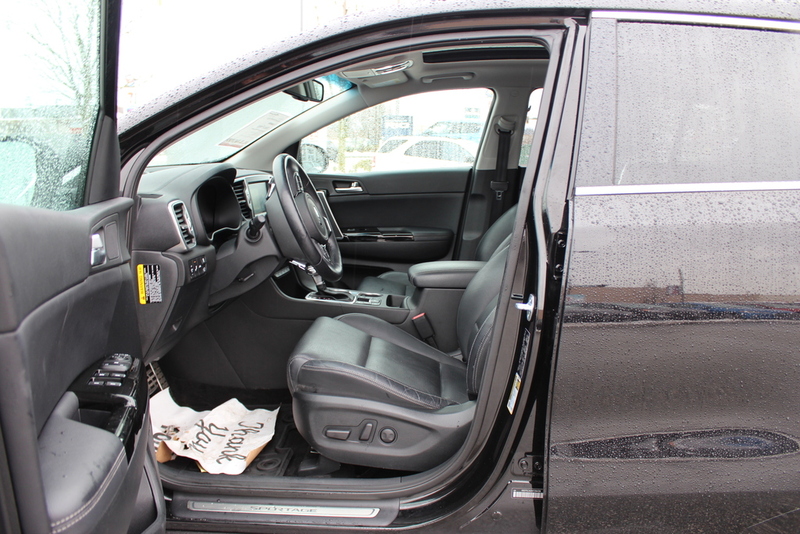 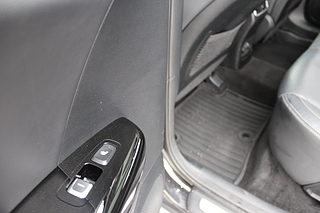 This is an excellent opportunity to get into an AWD SUV!